The Damian business card template has been fashioned from our best-selling 26pt duplex cardstock, an ideal option when looking to for a card that is both stylish and practical. The navy-blue background creates a bold appearance without being too brazen, contrasting with the silver foil stamping that has been applied to the front and back for a touch of elegance and sophistication. 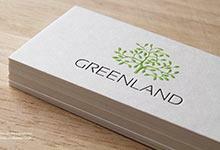 Embossing has also been applied to the front of the business card, ensuring that the logo proudly and distinctively stands out from the rest of the composition. Law firms will be particularly appreciative of this professional yet simplistic design, as it is uncluttered and does not have an overwhelming number of adornments to distract from the main message. Luxury is effortlessly maintained using a layout that is practical and clear, perfect for conveying a message of a down-to-earth company that is guaranteed to produce reliable results.